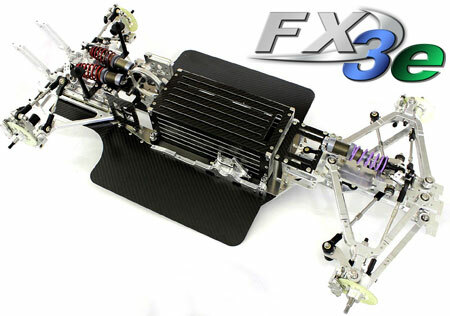 RC-Car Large-scale models 1/5 have always been oriented towards the big motorsports. With the RK-1 Racing Kart on the scale of 1: 2.5, H.A.R.M. Racing follows this way consistently. 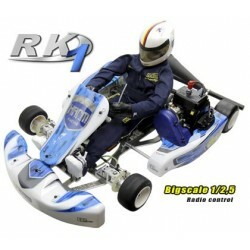 The RK-1 Racing Kart offers the opportunity to enjoy large-scale models on a simpler, more easy technically and more cost-effective financial level. As in the original, it is not necessary to dispense with "pure" racing technology! The technology in the area of Electric motors, speed controllers and batterys is in a rapid development. In the meantime there are also very good drive components for the 1:5 big scale cars, which make it possible to drive on the same level as the chassis with gas engine and they also can reach the racing distance of 30 minutes. The prejudice / information from last days must be disproved completely! Today the electric drive is cheaper like a comparable tuned gas engine with pipe, airbox and clutch and when being handled correctly also long lasting. And, as stated above, you can also reach the period of 30 minutes with an according battery. Thomas Kiesel from Wolth-Racing-Team already drives for some years now a chassis with electric drive and he could gain many experiences here. 2016 he showed this impressive with very good results at H.A.R.M. challenges. So, I was very excited when Jürgen Huss, also from Wolth-Racing-Team, came to me at the beginning of the year and asked me to create a H.A.R.M. 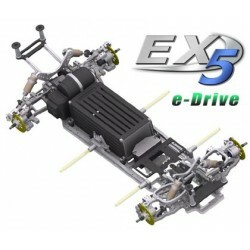 chassis with e-drive. However, I wanted to take full advantage of the electric drive and not simply convert a chassis, but to develop and implement it specifically for the new conditions. The H.A.R.M. E-drive chassis goes a new way here! The e-drive shows a lot of new possibilities! The chassis can be build up absolutely symmetrical and the centre of gravity can still be lowered clearly. Also the save position of the great battery with a possibility to change it very fast was an essentially point in the construction. The proven components like front and rear axle we took from our topmodel SX-4. We also benefit from the experience regarding the balance of the chassis. The result is a separate chassis which is available for the middle wheel base 510 mm as well as for a long wheel base 535 mm. In the meantime Jürgen had some successfully races with his e-drive chassis. And I also raced with the e-drive car successfully and as a fan of gas engines, I was very excited how easily you can use the technic. I was convinced from the power and driving quality then. I´m sure to me that I will still drive more races with the e-drive chassis. 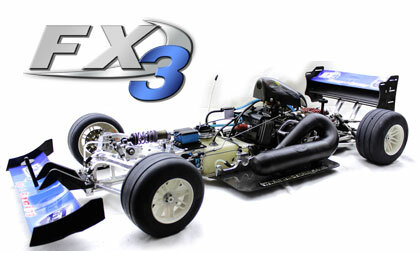 Of course there is also a conversion kit from the existing SX-4 chassis to the new e-drive chassis available.